Commissioned in 1928, the landmark Gibbs House sits on a gated, in-city compound on Queen Anne’s fabled South Slope. Featuring iconic views of the City & Sound + unrivaled construction, this meticulously restored jewel is on an exquisite 18944 SF lot with manicured landscaping, sport court, elevated pool with adjoining 530 SF cabana & outdoor kitchen space; 2 large 2-car garages, potting room & terraced garden. 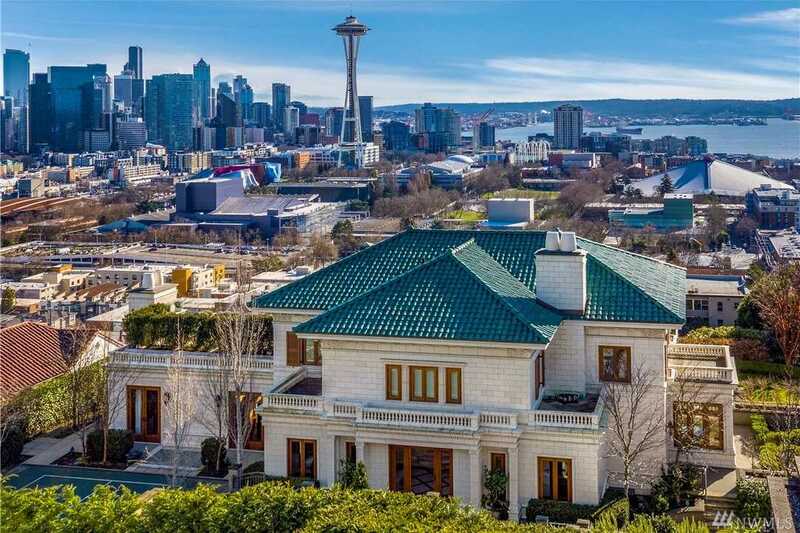 Elegant formal spaces and wondrous views, a truly stunning historic Seattle property. Directions: On Warren Ave N between Prospect & Ward on QA.